Is it possible to book tickets for Festival events on-line? The festival web-site is all in Croatian so I cannot use it effectively. It should be possible to book tickets online, probably when the final program has been published. where in slovenia can i buy the tickets for the festival and how much do they cost? I cant understand the language. Is there a site that are english so that I could be able to have more information of it because I'm interested of the place? Thanks. At the top right corner there is the option to switch to English language. Tickets can be bought online but for 2012. the programme has not yet been published as far as I know. 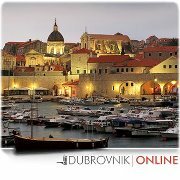 There is a link on the web site of Dubrovnik Summer Festival for online booking of tickets (pointing to http://www.ulaznice.com.hr) and that page is also available in English language.